Tuesday means it's time for Kav and Tony to break down your favorite Superman comic books. 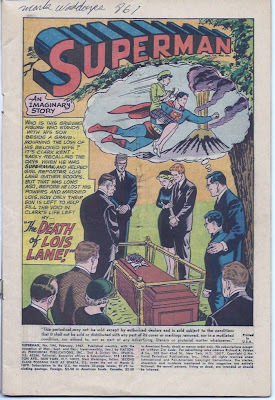 This week, we begin a review of Superman #194 'The Death of Lois Lane'. 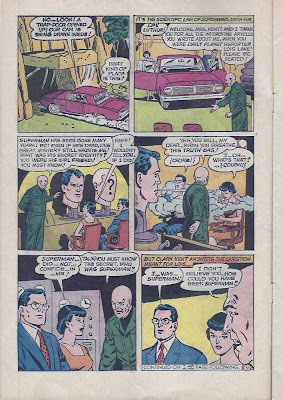 This was published in 1967 and the writer was Otto Binder, pencils were done by Curt Swan, and the inker was George Klein. KAV: Ok here we see the title page and I just realized, whenever anyone thinks about Lois Lane reporting, she's always covering an erupting volcano whilst being carried by Superman. The Freudian implications are staggering. KAV: Kryptonite is always falling through the air next to Superman. This time it's attached to a guy. Stupidman can't think of ANY way to stop the dude falling-gust of super breath or anything, he just flies right up to dude and gets exposed. 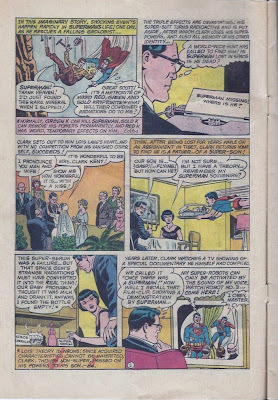 We see Lois saying, "It's wonderful to be Mrs Kent!" WTF? She scorned and mocked Kent for years as a cowardly idiot-now she's proud to marry him??? 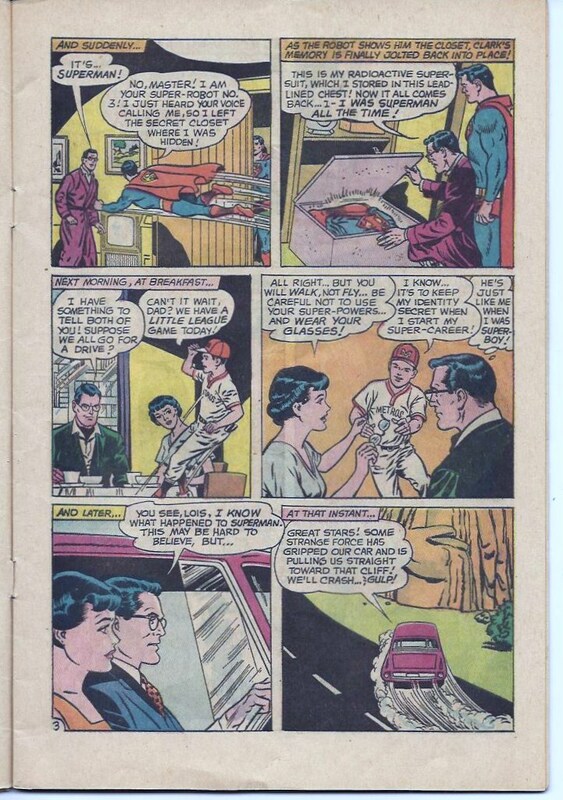 Lois thinks her son got super powers by drinking some radioactive serum she left lying around. CPS should be notified immediately. 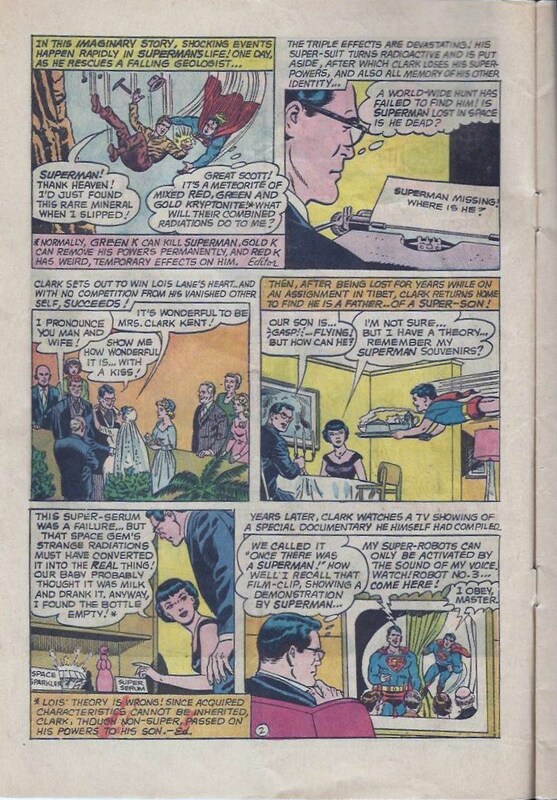 TONY: Wow, Lois and Clark made their kid serve them dinner. Cold as ice. Those two act somewhat indifferently when their son is flying. There is no panic or anything. If my son did that, I would be on the phone to the Catholic church demanding a exorcism. It's funny to see that Lois' prized possessions are on the bottom shelf on some crummy cabinet. Some people place valuables up on their mantle or in some sort of display case. Not Lois. I bet her wedding dress is in the garage under a pile of oily rags. TONY: Lois the genius keeps radioactive gifts on the bottom shelf and Clark the ding dong keeps his radioactive suit in a lead case. Why don't you just wrap your kid up in asbestos at night to keep him warm. closer to the gas than them, it conveniently doesn't effect him so the plot can move forward unhindered. 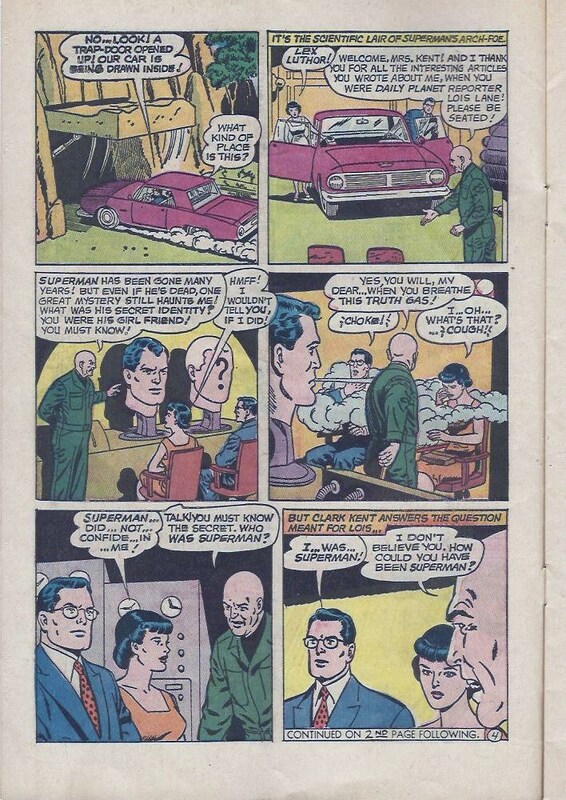 TONY: Lex uses some kind of device to pull their car off the road into his lair, so Clark and Lois get out of the car like it's no big deal. "Oh hey Lex, you crazy super villain. How can we be of service to your evil deeds today?" This is madness. Pure madness! Folks, that is all we can handle for this week. 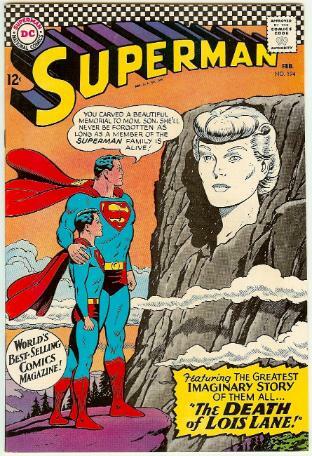 Have no fear because next week, Kav and I will break down pages 5 to 10 of Superman #194!